What is Web Authentication (WebAuthn)? 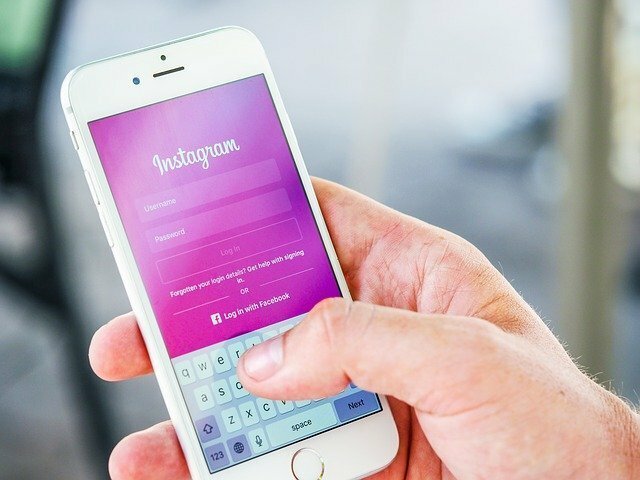 It is a new mechanism for authenticating to websites, replacing traditional username and password login credentials with security keys or built-in authenticators. 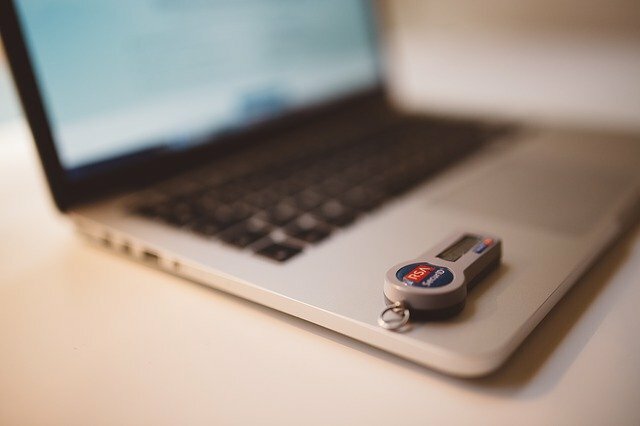 On March 4, 2019, World Wide Web Consortium (W3C) and Fast IDentity Online (FIDO) Alliance finalized the Web Authentication (WebAuthn) specification1. This web standard is a major step forward in making the web more secure, passwordless, and easy to use. The WebAuthn specification is a major and collaborative leap forward in the evolution of simpler, stronger user authentication. Why are we moving to a passwordless world? As mentioned in the multi-factor authentication (MFA) article posted last month, protecting accounts using passwords has been unsuccessful for many years. Credential theft via phishing is very popular and successful social engineering attack employed by cybercriminals. In addition, there are instances where collections of user credentials are posted online2. The credentials are used to launch attacks known as a credential stuffing attack. The industry’s response to such attacks is the implementation of MFA, but some implementations do not adequately address attacks such as phishing and man-in-the-middle (MITM). WebAuthn solves phishing and MITM attacks in a way that is more manageable and user-friendly but does not guarantee a rapid rate of adoption. Users are slow to adopt better security. 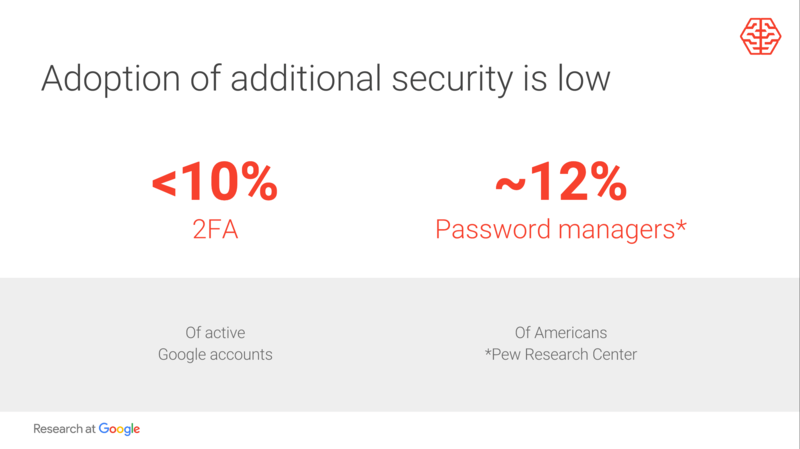 In fact, Google revealed in a presentation on January 17, 2018, that only 10% of active Google accounts have two-factor authentication (2FA)3. Traditionally, when we sign up for an online account, we are asked to create a unique username and password. With WebAuthn, we are instead presented with several choices for authentication such as username and password combination, multi-factor authentication, or passwordless authentication. The next time the user connects to the website, the server sends a challenge and provides a list of credentials that are registered to the individual and can also indicate where to look for the credentials – internal or external authenticator. There are two main authenticators available: internal and external authenticators. The internal authenticators, which are referred to as platform authenticators in WebAuthn specification, are built into the device. For example, Apple’s Touch ID, Windows Hello (e.g., fingerprint or facial recognition), etc. The external authenticators, which are referred to as roaming authenticators in WebAuthn specification, are removable from and can roam among devices. For example, a security key, smartphone, etc. Is it better than existing solutions? It depends. Users have different levels of risks they’re willing to take. Some users are risk averse than others. For people who, to this day, do no use a password manager software or a sort of algorithm to remember different passwords for their accounts, then this is a great solution. It doesn’t require them to remember any passwords, which means no password reuse issues, and it’s convenient to use yet still provide strong account protection. In our previous post, we highlighted the importance of utilizing multi-factor authentication. While it provides an additional layer of security, some MFA strategies fail to address phishing, MITM attacks, etc. These cyber attacks enable cybercriminals the ability to compromise accounts even with an additional layer of security in place. WebAuthn attempts to address the shortcomings of both password-based authentication and multi-factor authentication. From a security standpoint, it is a significant step in providing users a simpler and stronger authentication mechanism. WebAuthn may take some time for full adoption, but it is definitely a step in the right direction. In the meantime, being vigilant about protecting our passwords by enabling multi-factor authentication, where possible, is a must in this day and age. 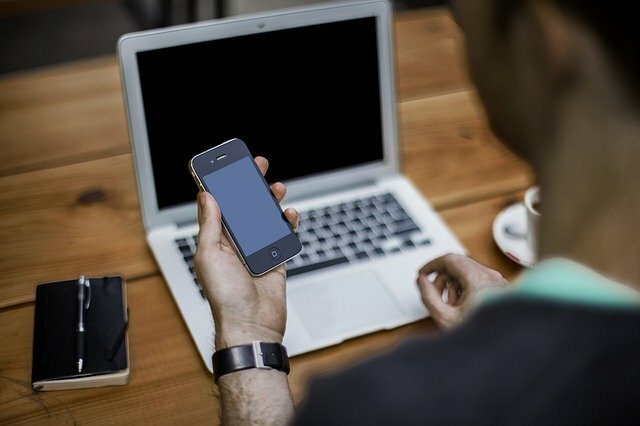 If you haven’t been living under the rock these past few years, you’ve probably heard of multi-factor authentication (MFA) or two-factor authentication (2FA) by now. In the last few years, MFA has gained enormous popularity in companies that are improving their cybersecurity posture. Before we delve into MFA, lets define what is authentication. In simplest terms, it is a process to confirm if someone is in fact who they say they are. A lot of people make mistakes that the combination of username and password is authentication. However, it is actually a combination of identification (username) and authentication (password). The username is used to claim an identity, while the password is used to verify the identity. Type 1: Something you know – password, PIN, etc. Type 2: Something you have – smart card, hardware token, smartphone, etc. Type 3: Something you are or something you do – biometrics, signature, keystroke dynamics, etc. Out of these three methods of authentication, Type 1 is the weakest and Type 3 being the strongest. Malicious actors, however, can still bypass some of the Type 3 authentication factors. For example, some fingerprint readers can easily be fooled by a duplicate fingerprint on a gummy bear candy1. As the name implies, single-factor authentication only requires one method of authentication. For many years, accounts for our email, web, social media, etc. were protected by this single form of authentication. For a time, passwords were enough to secure the accounts. However, as cybercriminals become more successful in stealing credentials, it became clear that passwords alone were no longer enough to protect accounts. As you might have guessed, multi-factor authentication requires at least two methods of authentication. It can be a combination of any two or perhaps all three of Type 1, 2, and 3. The use of two methods of authentication is called two-factor authentication (2FA), which is a subset of MFA. 2FA is the most popular method that is currently available on a lot of websites, applications, etc. The concept of multi-factor authentication is not new. In fact, you’ve probably been using it but didn’t realize that you were. If you’ve ever withdrawn money from an ATM, then you’ve used MFA. Withdrawing from an ATM requires you to present two forms of authentication: something you know (PIN) and something you have (debit card). Satisfying these two requirements will give you access to withdraw money from your account – assuming you have sufficient funds. Protecting accounts with passwords has been unsuccessful for many years. A lot of people use easily guessable passwords for their accounts and in some cases have them written down within an arm’s length. The reuse of passwords across multiple accounts is also common. In a Virginia Tech University paper, they found in a study that 52% of users have reused the same passwords or modified existing passwords instead of coming up with something new2. What’s worse is that these users are also using the same passwords for their personal and work-related accounts. Password reuse creates huge risks and undermines security for both individuals and businesses. Some organizations are starting to offer free password manager software to their employees to combat this issue. This is a way of potentially arming their employees with the ability to practice good security in both their personal and professional lives. The use of a password manager helps immensely in improving password security. It allows users to create unique and strong passwords without memorizing them. In fact, a few weeks ago, there was a data dump of 2.2 billion accounts3. Stolen credentials from personal accounts could be used to try and compromise business accounts as well. There have been many instances where cybercriminals successfully acquired account credentials. In fact, according to Verizon 2017 DBIR, 81% of hacking-related breaches leveraged either stolen or weak passwords4. Reducing this number by implementing MFA solutions should be one of the top priorities of companies. There are many approaches to MFA that companies take. Unfortunately, some of the approaches are weaker than others. We’re going to examine the most commonly used MFA methods. OTP-based hardware tokens, also known as security tokens or hard tokens, are one of the oldest MFA methods that are still in use today. RSA SecurID was very popular back in the early 90s. There are drawbacks in using hardware tokens. Since they are small devices, they can be lost, stolen, or forgotten. When this happens, users won’t be able to access their accounts. This scenario brings another disadvantage of hardware tokens. It can be hard to manage since it costs money to replace and logistics of delivering the hardware token. The possibility of key extraction from a hardware token is another downside5. Additionally, cybercriminals can target manufacturers to steal information that could be used to compromise the security of the hardware tokens6. OTP-based software tokens are one of the most deployed MFA methods. It is very much the same as hardware tokens, but more convenient and less expensive. Assuming that users have smartphones – not everyone has one7. Instead of carrying another device, the user installs an app on their smartphone. The app generates six-digit passcodes for authentication. Same as the hardware token, there are drawbacks to OTP software-based token. Smartphones get lost, stolen, or forgotten. In contrast, users are less likely to forget their smartphones at home than lose a hardware token. One can assume that users are more attentive with their smartphones than they may be with a hardware token. Another thing to consider is the reliance on a smartphone’s battery life. Users won’t have access to the app to get their codes when smartphones are out of battery. It is also true that OTP-based hardware tokens also run on batteries, but their batteries can last anywhere from five to ten years. Similar to hardware tokens, the seed value (or secret key) on a software-based token is vulnerable to theft, but in this case by smartphone malware or malware on the server. When malicious actors get a hold of the seed value, then they can replicate this to their own smartphone. Both hardware and software tokens can suffer from a MITM (man-in-the-middle) attacks. To describe this attack, imagine a cybercriminal creates a fake bank website. Then launches a phishing campaign that entices users to give up their credentials including OTP. The server captures everything and passes your credentials to the real website. If done right, the server will maintain the session until the attacker is ready to make fraudulent transactions. Receiving one-time passwords (OTP) SMS (or text message) is another popular MFA method – possibly the most popular. With this method, upon successful first-step authentication, the user receives an SMS message with a random code. Sometime in 2016, NIST (National Institute of Standards and Technology) seemingly deprecated SMS-based authentication but eventually softened their stance in the SP 800-63B (Digital Identity Guidelines) document8. The key takeaway is to verify that the OOB (out-of-band) device is uniquely tied to a device. This means that users should not use VoIP-based services (Google Voice, for example) to receive passcodes. While it is still acceptable to use OTP via SMS per NIST, it doesn’t mean users should keep using it. There are vulnerabilities in using this method such as SIM swap, SS7 (Signaling System No. 7) vulnerabilities, etc. To highlight the insecurity of using this method, one virtual currency investor lost around $150,000 after the cybercriminal took control of his phone number9. Another instance where SMS-based 2FA was ineffective to protect the account was when Reddit got hacked via SMS intercept10. This method is taking the best of both worlds from SMS-based and mobile-app based MFA. The main advantage of this method over others is the balance between security and convenience. The push-based method has been gaining popularity in the enterprise. In fact, Cisco Systems invested $2.35 billion to acquire Duo Security, an industry leader in the MFA space11. The beauty of this method is that when the user sees a push notification, the user can choose to allow or deny the authentication attempt. If it was the user who initiated the authentication attempt, then it gets approved. Authentication attempts not initiated by the user can be rejected. Push technology, in theory, is a more secure method, but it doesn’t mean it is immune to attacks. One possible attack is by social engineering. Imagine a cybercriminal gets a hold of a user’s credential and tries to access the account. When the cybercriminal is ready to send the push, he/she can call the user impersonating a trusted entity such as an IT personnel convincing the user to accept the push. 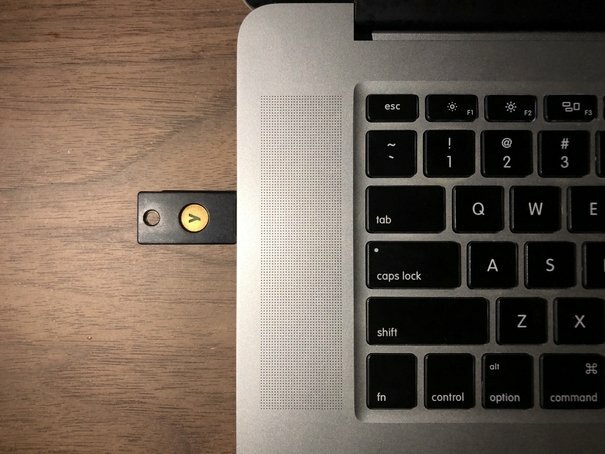 Google and Yubico initially developed U2F, but now it is an open authentication standard supported by the FIDO (Fast IDentity Online) Alliance. It aims to provide strong second-factor authentication while also enabling users to quickly and securely access websites. When a user wants to authenticate to a website (that the U2F is registered), the user will need to insert the USB token as the second-factor authentication. It is not vulnerable to phishing attacks, session hijacking, and MITM attacks. Same as the OTP-based hardware token; however, it can be forgotten, lost, or stolen. It can get costly when supplying or replacing these tokens to all employees in large organizations. While MFA is not perfect, it is still better than not having it at all. Our recommendation is to enable it wherever possible. Especially, when it comes to systems, websites, or applications that contain sensitive data. When choosing an MFA method for your organization, you must strike a balance between security and convenience. The MFA strategy must be easy to use and sustainable. Without these factors, users may find ways to circumvent it, which in turn undermines the security provided by the second-factor authentication. 10 We had a security incident. Here’s what you need to know. Last year, I wrote a post about securing the Cisco IOS SSH server. It also makes sense to create one for Cisco ASA especially when my old post about enabling SSH on Cisco ASA was back in 2012. That blog post didn’t include the advanced configurations that will improve the security of the Cisco ASA SSH server. With this post, I’d like to share the minimum advanced SSH configurations that network engineers should consider adding to their ASA template. Before we can connect to our Cisco ASA via SSH, we need to have a checklist of things we need to configure. While it’s a good idea to have enable password configured, it is optional for SSH. You must have at least one user account locally. Configure ASA’s authentication method. The authentication method can be local, RADIUS, or TACACS+. Generate RSA or ECDSA key pair. Configure ACL to allow a specific IP address or range(s). My old post covered how to set enable password. It’s the same command on how to set the enable password, but in the newer ASA software, it uses PBKDF2 to encrypt the password compared to the MD5-based hash in older ASA software. As covered in my old post, to enable SSH on the ASA, we’ll need to generate RSA key pair first. Current NIST recommendation is to use 2048-bit or above. In this post, I am going to use 4096-bit key pair. Configuring the Cisco ASA SSH server to accept only version 2 is best practice. The reason for this is because SSHv1 has vulnerabilities. That said, make sure to add this to your ASA template. By default, it seems that the ASA’s encryption algorithm is configured to use the medium settings. Unfortunately, I cannot seem to verify it using the show run all command. However, the combination of show ssh and show ssh ciphers does the trick. The client and server negotiate the encryption algorithm. That said, it is possible that the client would pick a weaker cipher. To avoid that, we’re going to specify the use of a safer cipher. According to this thread, the use of EAX or GCM is preferable when available. If not, the use CTR over CBC mode. By specifying the encryption algorithm, we’re telling ASA to only offer the AES-256-CTR mode to any clients that try to connect to it. Here’s the verbose output of my SSH to a Cisco ASA using the default SSH cipher encryption. Let’s configure the ASA to only use AES256 CTR mode. Here’s the verbose output of my SSH connection to a Cisco ASA device using the SSH cipher encryption configuration mentioned above. By default, it seems that the ASA’s integrity algorithm is configured to use the medium settings. Unfortunately, I cannot seem to verify it using the show run all command. However, the combination of show ssh and show ssh ciphers does the trick. The default setting for the ASA SSH integrity algorithm is medium. Which means, it will accept both HMAC-SHA1 and HMAC-SHA1-96. The difference between the two algorithms is the digest length. The HMAC-SHA1-96 is a truncated message digest. From my limited understanding, the HMAC-SHA1-96 is the weakened version of HMAC-SHA1 due to the shortened message digest. Here’s the verbose output of my SSH to a Cisco ASA using the default SSH integrity algorithm. Let’s configure the ASA to only use HMAC-SHA1. Here’s the verbose output of my SSH connection to a Cisco ASA device using the SSH integrity algorithm configuration mentioned above. The ASA support two Diffie-Hellman key exchange methods and these are DH Group 1 (768-bit) and DH Group 14 (2048-bit). By default, the ASA is set to use Diffie-Hellman Group 1. Unfortunately, this is below what NIST recommends to use in this day and age. Here’s a Cisco ASA with default SSH key exchange configuration. I issued the no ssh key-exchange to be sure. Here’s the verbose output of my SSH connection to a Cisco ASA using the default SSH key exchange. Let’s configure the ASA to use DH Group 14. Here’s the verbose output of my SSH connection to the Cisco ASA after changing the key exchange method. Restricting remote management to a certain IP address is a best practice. It is also required to add the ACL, or we won’t be able to access the Cisco ASA via SSH. That said, I included the command here. All of the configurations covered here are what I’d say minimum security standard for all Cisco ASA devices. It is, after all, a network security device, so it is a must to secure it properly. Though this post is just a small part of protecting the management plane and network engineers must incorporate other security configurations. Want to learn more about ASA?